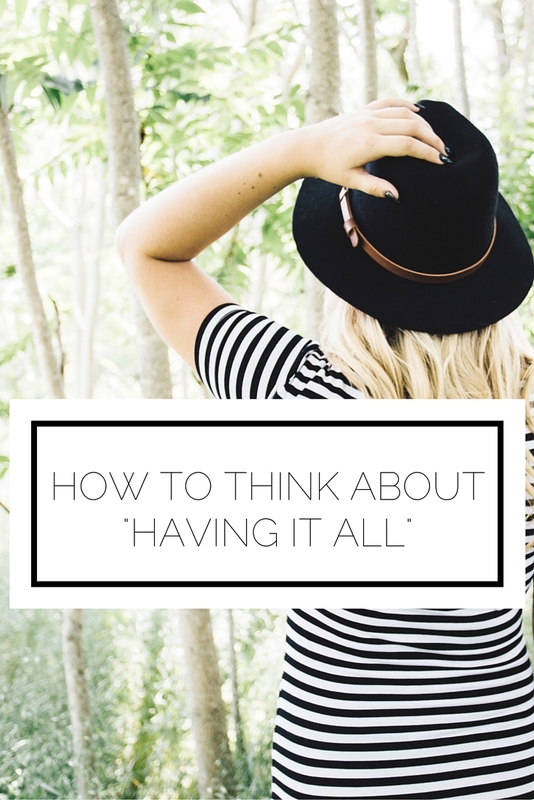 How To Think About "Having It All" | Alyssa J Freitas: How To Think About "Having It All"
How To Think About "Having It All"
As I am writing this I am up an hour earlier than I need to be with a lot on my mind. I am fortunate to be happy with so many areas of my life (my job, my academics, my clubs, my friends) however, I am lacking in one area and have been focusing on it's sad state for a while now. A few summers ago I was shadowing an attorney and we talked about how there is an obsession today with women trying to have it all. The perfect job and social network, the perfect husband and children, the perfect home and wardrobe...the list goes on. What she said to me during that conversation really made an impact: "You can have it all, just not at once." This is such a different perspective than what is promoted in the media and among my peers. We're bombarded with the message that you have to have it all together and you must tackle everything you are faced with as though it is just a walk in the park. Don't get flustered or overwhelmed; just smile and take on another project. I've noticed this especially in the blogging world. 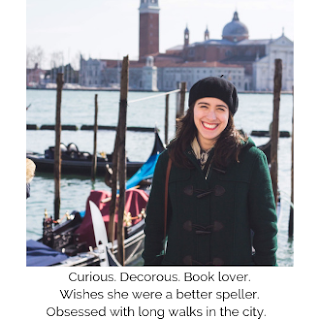 Bloggers are always trying to put their best foot forward and create an idealized version of their life to share with followers. Recently I've seen some really great posts where bloggers share the 'true story' behind their Instagram photos (check out Bess' and Katie's). I think this is so great because it shows that although someone might appear to have it all, in actuality everyone has things going on behind the lens. Now all of this is great to know, but much harder to actually accept. I will probably never stop my quest to have it all (and to have it all at once) but I can prevent this desire from distracting me from what I do have. It is in my nature to actively go after what I want, however I will make every effort not to go crazy in the attempt. Have you ever suffered from going nuts trying to get it all? What do you do to calm down? Do you agree that you can have it all, just not at once? This was perfect for me to hear today. I was crying to my parents the other night about how I feel like my life is great, but something is lacking. They just told me that I need to look at where I am, and what I have, and realize that everything is great. It's a slow process, but something I think will really help in the long run. Good luck! So glad this resonated with you today! As great as it is to get advice, you are the one who is control of how you feel so try to make the choice to see that you have much to be thankful for. I'll be making a conscious effort to do the same! I love this post ! College is such a great time and it makes you self aware!